Trying to celebrate the 20th Bond movie with one eye firmly at the past is Die Another Day’s biggest flaw. The film isn’t necessarily a disaster until you realise that everything that is wrong with the movie is a direct result of either trying to replicate the past or increase the elements that have worked well in past Bond movies. The beginning of the film is actually really good. You have to look past some dodgy CGI but a hovercraft chase over a minefield is at least relatively unique for Bond and the result being that he is locked-up and tortured is a darker, much more gritty take on Pierce Brosnan’s Bond. Unfortunately, as with many elements to this film, this aspect goes nowhere and Bond isn’t affected by the fact he was physically and mentally tortured for 14 months. He even finds the strength to offer a quip to his torturer! From there the mess of the movie really begins. 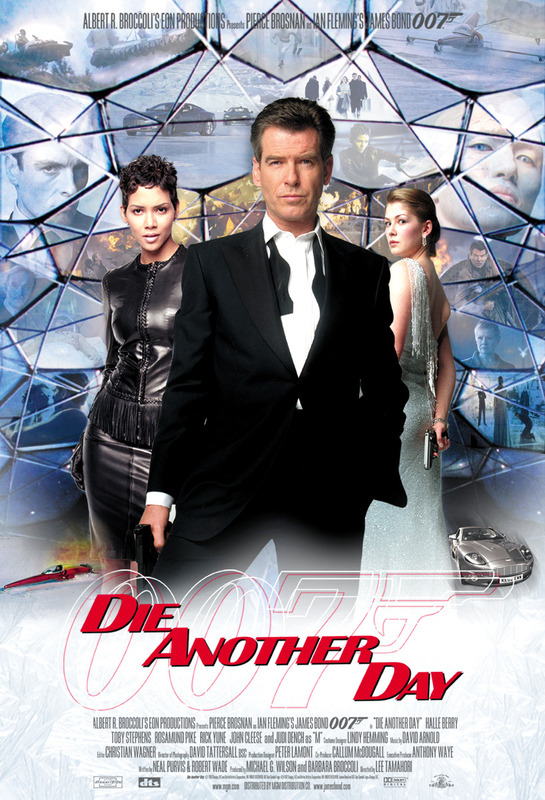 Die Another Day takes everything people recognise as a Bond trope and turns it up to 11. There are awful double entendres and innuendos (particularly between Bond and a bizarre cameoing Madonna), some strange action sequences with the worst CGI you’ve ever seen and a desperate attempt to replicate past scenes or famous moments in Bond history. The perfect example is the “Q scene” where John Cleese takes Bond through the usual gadgets and weapons at his disposal. Throughout Brosnan plays, tampers and reminisces on past gadgets, from the jet-pack to the shoe with a blade. These are all taken in light fun and as you look back can almost be ridiculed. That is until Q reveals the Aston Martin “Vanish” – The invisible car! Bond’s line of “You must be joking” doesn’t nearly cover it. This absurdity can be extended to the villain as well. Toby Stephens is Gustav Graves but somebody forgot to mention that it isn’t pantomime season. He gurns, grins and delivers some of the worst written lines any Bond villain has had to say. His plan is suitably dastardly and world destroying but when Bond is striving for more realism, it just feels very silly and more like something you’d expect Roger Moore to deal with. It is a shame because the other two villains are actually credible and a lot less silly. Rick Yune plays Zao, who looks all the part of a Bond villain with diamonds stuck in his face (courtesy of Bond). He grunts through his scenes and manages to give Bond a credible threat, particularly in the movies only high-point, a car chase over ice involving a multitude of Bond-style car gadgets. The final villain is a decent attempt to give woman a more focused role in the movie. Rosamund Pike plays the evil Miranda Frost way before she channelled it in Gone Girl and although her betrayal comes as little surprise, at least she is more than just another person for Bond to take to bed. The same can be said for Halle Berry too. Her character of Jinx is supposed to be the American equivalent to Bond and there was talk of a spin-off movie of her own eventually. Unfortunately, she doesn’t particularly offer much in the way of charisma and giving a woman a gun and having her fight the only other evil woman in the movie does not necessarily set-up a credible movie franchise. You can see what Die Another Day is trying to do but when Brosnan’s Bond has been much more about the realistic, national threats rather than incredible, world destroying plans, it just feels silly. CGI avalanches and an invisible car don’t help and actually highlight all the aspects that were wrong with Bond from the 70s that we’d hoped to forget. Overall, Die Another Day is the perfect example of how not to deliver a Bond film. It relies too much on CGI, corny jokes, over the top villains and ridiculous evil schemes. The fact that it borders on the silly and sci-fi rather than the more realistic means the franchise takes a step back when it was heading so forcefully in the right direction. 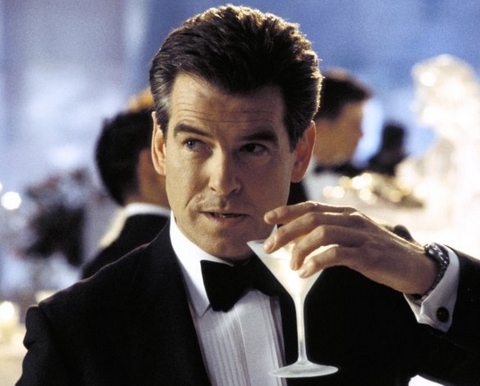 Pierce Brosnan may be the reason I’m martini obsessed today. That’s not a bad reason at all! I don;t think I’ve ever had a martini – shaken or otherwise!